Henderson after car wreck left him all-over body sore: "I feel like I played a football game"
Henderson was bringing home takeout food for his family at the time. 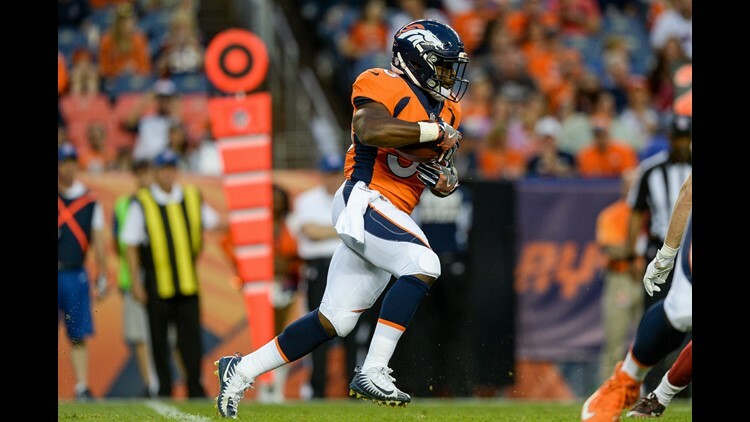 KUSA — KUSA – Broncos running back De’Angelo Henderson was briefly hospitalized with minor injuries Saturday night after he was an accidental victim of a high-speed police chase involving a woman driving a stolen vehicle. Henderson was an accidental hero as his Jeep, which was struck with such force it flipped over on its top, helped stop the chase. He was headed to Famous Dave's BBQ in Parker to pick up some takeout for him and his fiance. He was on Jordan crossing the intersection of Carlson. Rainbow Sunset Espinoza, 37, was arrested and is facing 11 charges related to her actions Saturday night, including stealing a vehicle, driving recklessly, driving while under the influence of alcohol or drugs, evading police, failing to turn on her headlights, driving a car without plates, driving while her license was revoked, running red lights, criminal mischief, possession of burglary tools and second-degree assault with a deadly weapon, according to the Douglas County Detention Center. 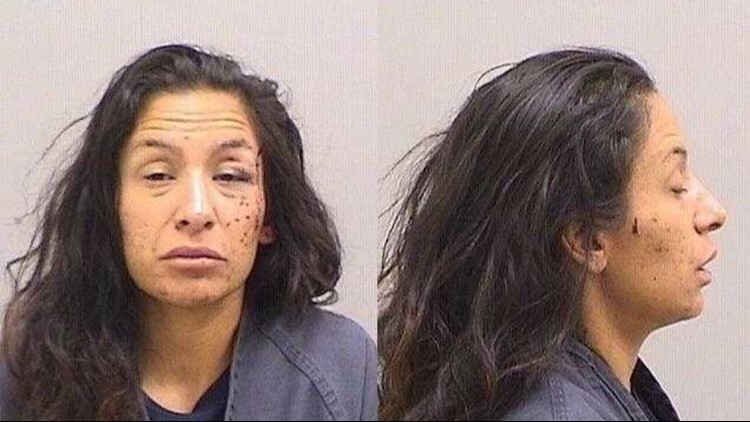 After Espinoza allegedly T-boned Henderson's Jeep, her stolen vehicle hit a pole, ending the chase. To get out of his upside vehicle, Henderson said he unbuckled his seat belt, scooted to the roof and with the door jammed, shouldered his way out. As he got out, the officers had guns drawn as there was a crime scene. Henderson was escorted away from the crime scene to the back of a police car. Henderson, who played briefly for the Broncos last season as a sixth-round rookie, was checked out at the hospital and released when tests revealed no internal bleeding. 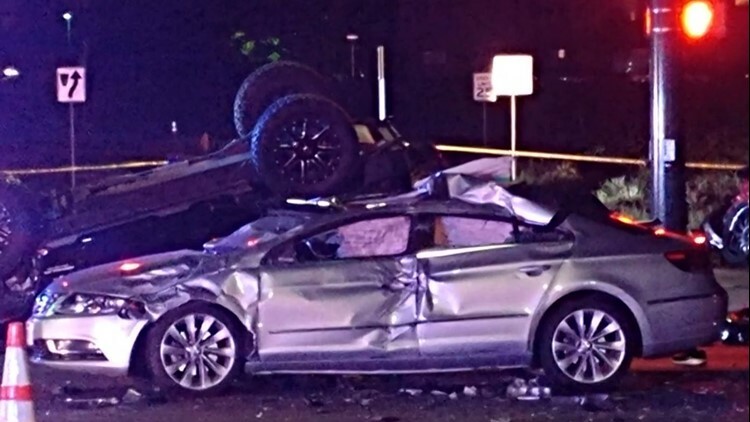 He was one of four people hospitalized with injuries from the crash that occurred in Parker a few minutes before 8 p.m. Saturday. He did suffer a slightly sprained ankle and shoulder. Henderson was at the Broncos’ facility Monday but he will be held out of the team’s Phase II practices this week. He had been the No. 2 running back behind Devontae Booker and is expected to compete against third-round rookie Royce Freeman for backup carries this season. “Yeah, well, I told them my body feels like it played a football game,’’ Henderson said.